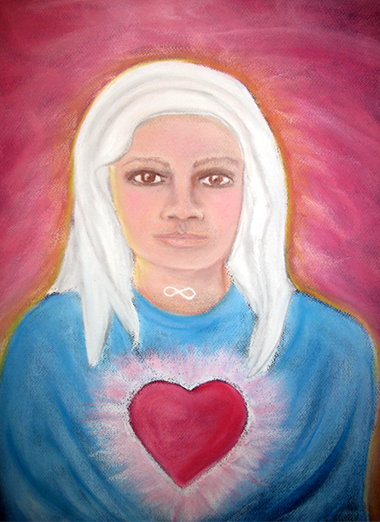 This picture of one of Kay’s spirit guides was drawn by psychic artist Rachel Auton. Rachel also does a psychic reading for her client when doing the drawing. Here is an excerpt from Rachel’s reading for Kay, which explains the process used. For further information about Rachel Auton, energy worker, teacher and psychic artist go to www.lotuslifestyle.com.au. Rachel’s website contains a fascinating picture gallery of many of the spirit guide pictures she has drawn. I can believe that! Great sharing,dear ones. There are also others as gifted as Rachel. Hope more people will read your blog! Luv n Light! Thanks for your kind comments and encouragement. Again, I find myself glad for the reminders you post here. Thank you.